Each year on April 2 May Arts Ribbon and their team supports International Autism Awareness Day. The symbol for Autism Awareness is the puzzle piece, so this year we were asked to create a project using one. Have a look at the the Ribbon Lamp Shade I made this day last year. 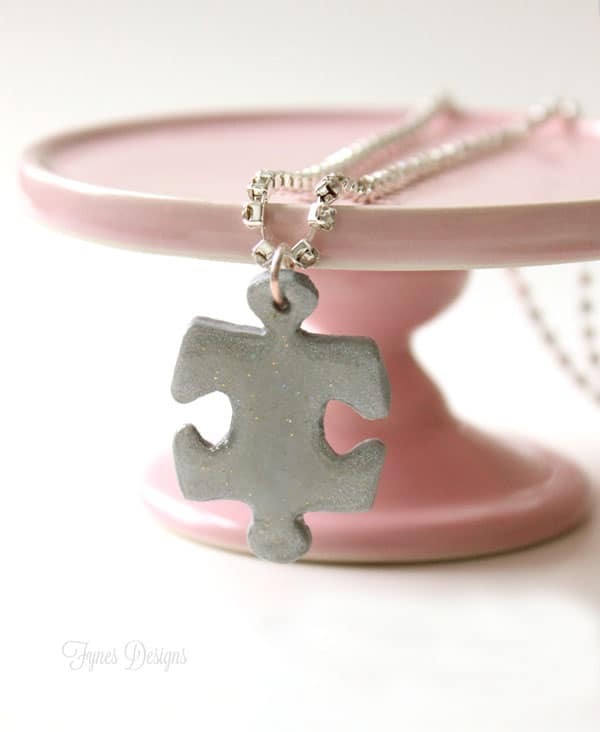 When I decided what I was going to make I thought it would be so easy to find a puzzle piece necklace charm… so I left it to the last minute. Guess what, not as easy as I thought, so I had to make one in a pinch, but the result turned out great and didn’t cost much to make! You will need– Sculpty clay in metallic silver, a puzzle piece or a cut-out of one, scissors, sand paper, dimensional magic or varnish, an oven, and a jump ring. Using a rolling pin, roll out a small lump of clay. Lay your puzzle piece on top and trace around with a pencil (I’m sure there is a real tool you could use, but the pencil did the trick). Use the scissors or a craft knife to cut around the shape. Use a toothpick to add a hole at the top. Place on a baking sheet in a 275 degree oven for approx 15 mins. Using the sandpaper, gently smooth out the edges. 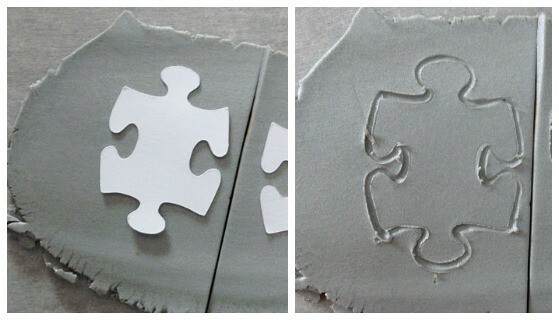 Apply a coat of dimensional magic to give the puzzle piece a professional look. Add the jump ring. It’s so easy to make the new 3mm Diamond Chain from May Arts Ribbon into a necklace with a few Jewellery crimps. Just add a dab of jewelry glue on the metal, lay the rhinestone flat side down and crimp in place. Allow to dry and then add a closure. These pretty May Arts diamonds come in white, red and black! 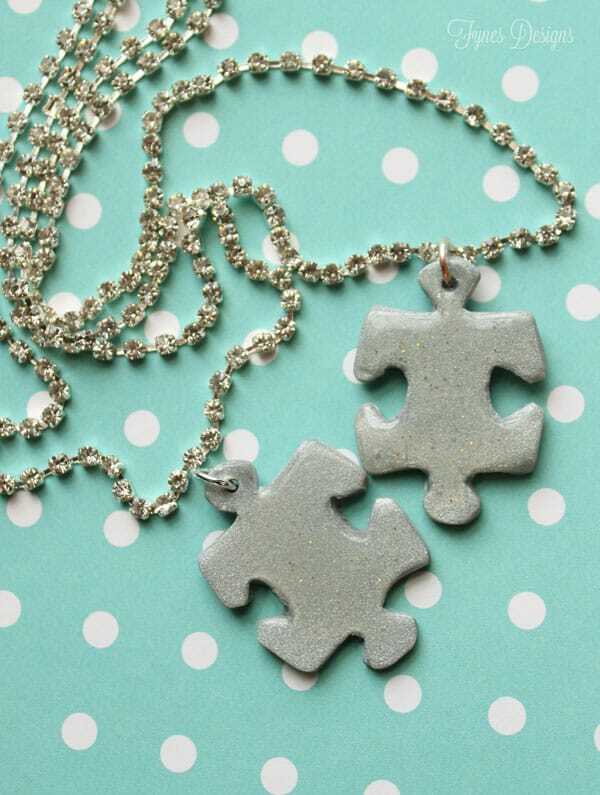 Won’t these cute little puzzle pieces make perfect best friend necklaces? Please Hop around to see all the Puzzle Piece inspire projects from the May Arts Design Team! Leave a comment here and along the way for a chance to win 3 spools of Blue Ribbon. Love how you made this! 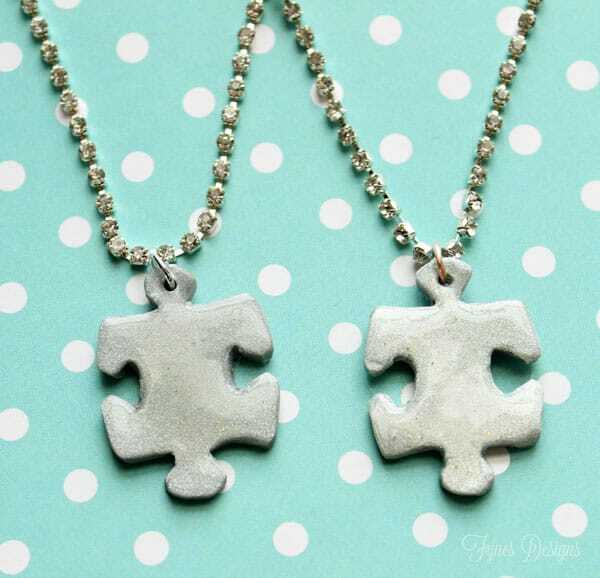 A great idea to use the pieces in a necklace. thanks for the idea. These are so cute! I think I will pin this for when I want to make something like this with the clay. This so so creative! I love how this turned out! Wonderful idea!! They look cool, too!! What a great piece. Thanks for showing me how to make it. My son, who has autism, is a huge fan of making things with sculpy clay. This would be the perfect gift to make for a few of his therapist that mean so much to us. Your puzzle pendant is really cool and I LOVE your diamond chain!!! I really need to learn more about adding clasps and jewellery making!!! Awesome! 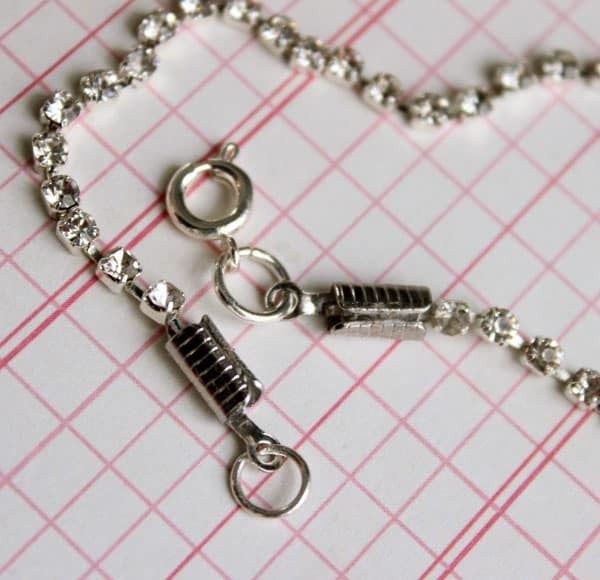 Beautiful project and a very clever idea to use that gorgeous diamond chain for a necklace! Thanks for sharing your technique on the puzzle pendant too!